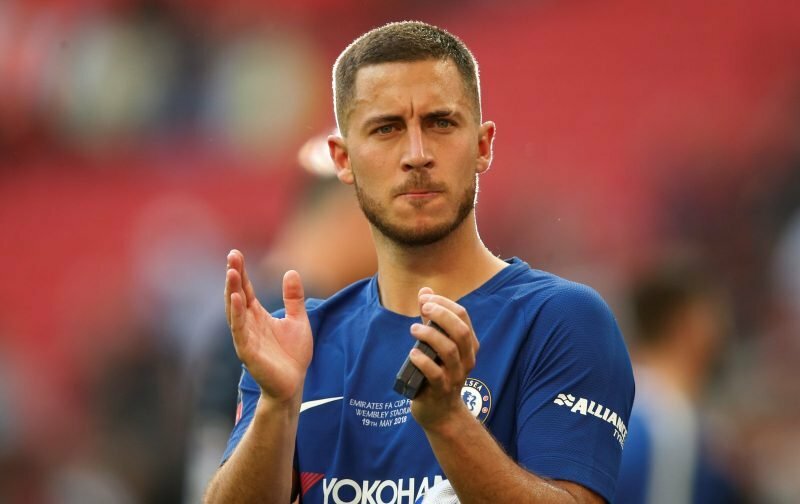 I’m guessing that between now and when the summer transfer window closes, we’re going to see a lot of transfer speculation regarding Eden Hazard. At the moment, with the player having two-years left on his Chelsea contract, it is accepted that it will be Chelsea who decides whether the talented Belgian remains at Chelsea or is sold for a colossal fee. Today, as the speculation increases, the good folk of the Evening Standard, are reporting that Real Madrid are ready to try and tempt Chelsea to sell by making an opening offer. However, it appears that their opening offer of £112 million falls well short of the £200 million valuation the club has put on the head of the 27-year-old. In fact, sat here in the Vital Chelsea editorial chair, I’d be amazed if an offer that low was even entertained by the Chelsea hierarchy. “I won’t lie, I speak to him often. Sentiments I’m sure you’ll join me in echoing. Let’s hope those who run our club have an ace or two up their sleeves to convince Eden that his long-term future is with Chelsea and not on the continent. Please feel free to offer your views on the subject matter in our comments facility beneath this article. Hazard’s heart and mind are no longer with CFC. It’s pointless to keep a player who doesn’t want to be here. Let him go! Take the money and let’s move on . CFC didn’t start with him and will not finish with him. May be, just may someone better will step up for us and we’ll realise we have been waiting time to try to convince Hazard to stay. I will advise Eden Hazard to demean at Chelsea where he has bn enjoying d uncommon luv of his career as a footballer. If u put in ur best, u can win all trophies u desire wit Chelsea. Mind u, real Madrid is nt heaven. CR7 was there n he complained n complained abt d negative treatment he got frm d board n Spanish authority. Pls stay where u r treated n loved like a king. Chelsea is Ur real home.